Apologies for the late post, I was in London until nearly midnight last night, and totally forgot to set it up! Anyway, here goes the last Living Fossils post! Today we will be looking at one of the supposedly oldest living fossils in the world – Stromatolites. And what are they? Well, they are creatures that come pre-fossilised! They are a small type of algae/bacteria, that excretes rock and minerals as it grows. It produces layers as it gets bigger and bigger. These layers are already rock – so are essentially already fossils! There are several creatures like this, corals included (which are also living fossils, coincidently! ), but we’re looking at stromatolites for a very special reason. 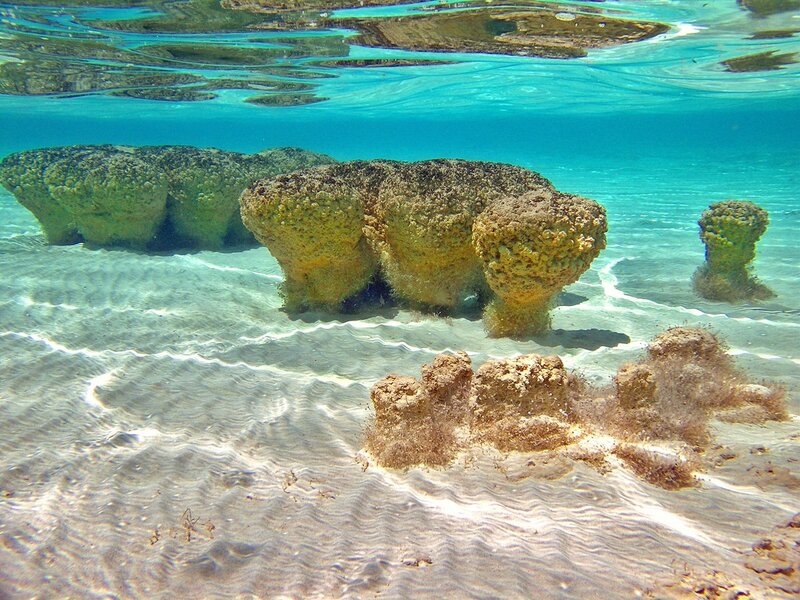 Stromatolites are supposed to be one of the first living thigs to ever evolve. The oldest stromatolites are supposed to be over 3 billion years old! Now, I don’t believe this for a number of reasons, but a big one is this: Stromatolites are still alive and well today, with no change at all! They still live off the coast of Australia, right next to the rocks where you can dig the fossil ones up! Now, stromatolites come out of nowhere – they simply appear in the fossil record. There’s no slow and gradual evolution up to stromatolites, they just come out of nowhere! And then they stay exactly the same for over a supposed 3 billion years! There’s no change at all! It just doesn’t make sense. However, I believe that God created like he says in the Bible, and in there it says that He created all living thing to “Reproduce after they’re own kind”. In other words – to make babies just like themselves! And this is exactly what we see in all living things – including stromatolites! I hope you enjoyed the living fossils section we’ve done. Next time, in May, we will be going onto a whole new topic – Dinosaurs! And you may be surprised where they turn up around Britain!